I personally love the Royal Oak, such a complete timepiece. The case ,bracelet and dial detail is just superb! 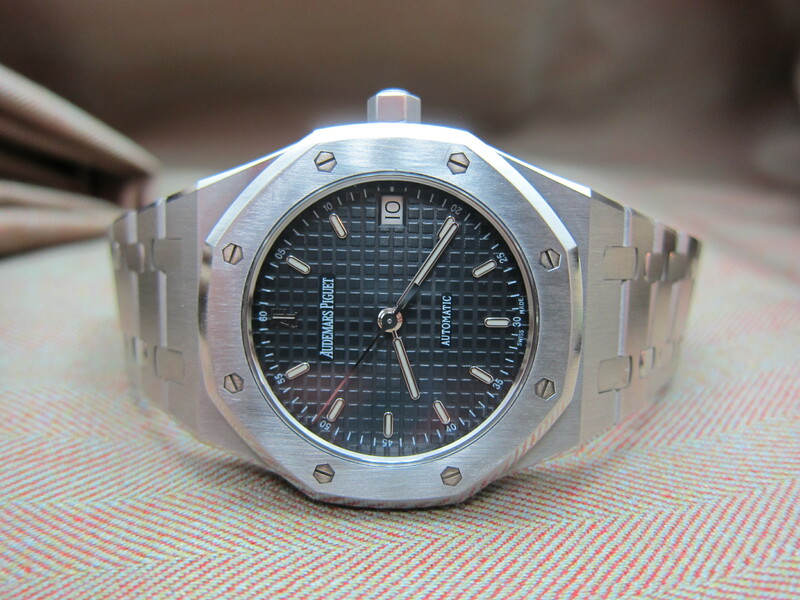 This specific timepiece is the very desirable reference 14790 ,discontinued for quite some time and very demanded by Royal Oak lovers with a medium sized wrist. It’s 36mm size sets it apart from all the current options out there and the blue dial color gives it that versatility and appeal that we all look in a watch. The watch is in it’s original conditions, unpolished,with minor signs of wear. The bracelet is fully linked and in super tight conditions. This watch showcases the modern style clasp , better looking and more secure. The watch is accompanied by it’s full set of box and papers. A phenomenal watch to add to your collection and cherish for years to come.